Friday 23rd February 2018 – Amid the product launches and eye-catching devices next week at Mobile World Congress, wireless markets around the globe remain on a slippery slope toward becoming telecom utilities. PwC’s new study, Grasping at differentiated straws: Commoditization in the wireless telecom industry, presents the second annual analysis of commoditization in wireless markets across the globe. The report provides a close-up view of the state of the industry, including regulatory and pricing factors, market differentiation strategies, and the overall value of product and services offerings. The commoditization of the global wireless telecom industry continues at full tilt. A potent mix of saturated markets, booming data demand, new market entrants, ongoing consolidation, and vicious price wars is pushing wireless service providers to battle for market share. Average revenue per user (ARPU) continues to decline in many markets around the world—and dropped 5% last year alone across the 59 markets studied. “market share spread” (difference between the largest and smallest shares). Overall, the news is better for consumers than wireless operators. PwC’s global aggregate commoditization index rose from 0.66 in 2016 to 0.67 in 2017, a 2% increase from 2016 and a 9% increase since 2007. “The primary driver for this shift is that operators are having a harder time extracting revenue from their customers,” said Udayan Gupt, manager with Strategy& US. ARPU has fallen 3% just since last year, and 34% over the past 10 years. Market share spread has also declined: by 2% since last year, and by 11% since 2007. This decrease suggests providers have been reasonably able to maintain their market positions, even in the face of the greater pricing efficiency of their markets. North America remains the least commoditized region, but the rate of commoditization appears to be speeding up, as both technology and new regulatory schemes reduce barriers to entry. Latin America has highly saturated markets, but the shift away from prepaid to post-paid plans is allowing premium segment players to retain market share. Still, average ARPUs continue to trend downward. Asia-Pacific sees most markets on the edge of commoditization. Only Indonesia, still dominated by a single player, remains considerably differentiated. Europe has high saturation in every market, and in most, revenues are shrinking, due to declining ARPUs and very tight market share spreads. The Middle East and North Africa region too is now highly saturated, especially in the Gulf Cooperation Council markets. Index - 1.0 indicates full commoditization with identical ARPU and market shares between carriers. With a perfect storm of widespread market saturation and enormous demand for data, the telecom price wars are in full effect. Regional market analysis and differentiation strategies will be important tools as providers chart the path forward. Click here to download PwC’s new report, Grasping at differentiated straws: Commoditization in the global wireless industry, and explore the interactive data tool for 59 markets worldwide. 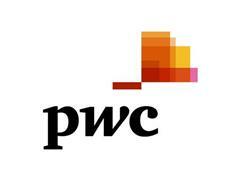 Talk to PwC at Mobile World Congress 2018, Hall 4, Booth 4C20.